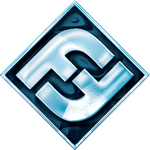 Fantasy Flight started out as a publisher of European comics in the US. They weren't successful until they published the first edition of Twilight Imperium and have since grown to be the 5th largest publisher of boardgames in the world. They have in-house design, art, and development staff, but also are the US publishers of a variety of outside designs. They are known for their large quantities of quality components and flashy art style.